Orders accepted at at Wonderella.org. 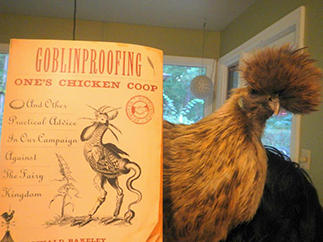 Is your hen cottage plagued by foul goblins? 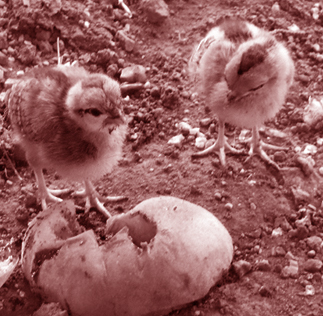 Reginald comments: The most tragic news I've received of late is of the demise of Lula the Lucky Chicken, who succumbed to what appears to be a goblin incursion at her home near Roswell, Georgia. A web page commemorating Lula's life and times has been established in her honour. Reginald comments: This pair of twins hatched from a goblin egg in the Central Valley region of California. The "elf-shot" markings on their heads may look natural to those unfamiliar with changeling chickens, but they are a sure sign of goblin activity at this hapless smallholder's farm.